The overall objective of the project is to improve the quality of life of the persons with disabilities, through recruitment and training for flower production. At the beginning of the project an info session was organized where planned activities were presented to potential beneficiaries, members of the Association, local partners and media. Selection of 3 persons with disabilities who pass training for flower production was done in cooperation with local Agency for unemployed persons. The training was organized in cooperation with external experts for flower production. 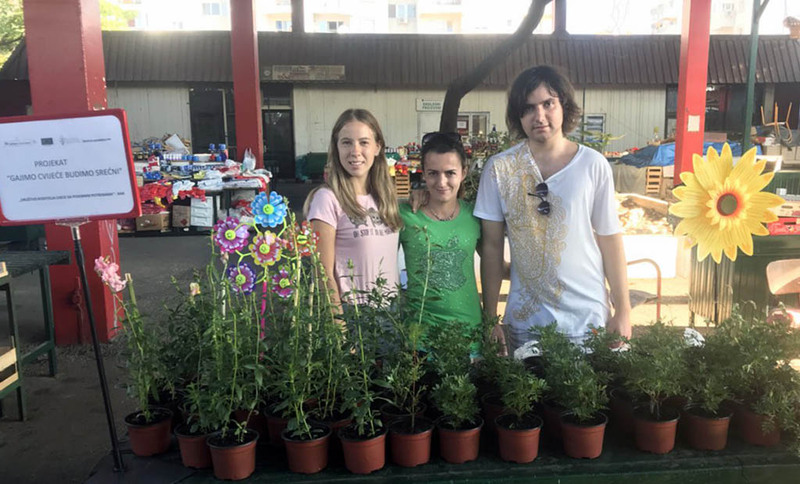 After the training, three persons with disabilities started to work in flower production.